But there are others here who may agree with you. Wow! You made my day. And I don’t think they had this one yet! I’m not sure I understand your usage of “vaguely”. I remember that too. 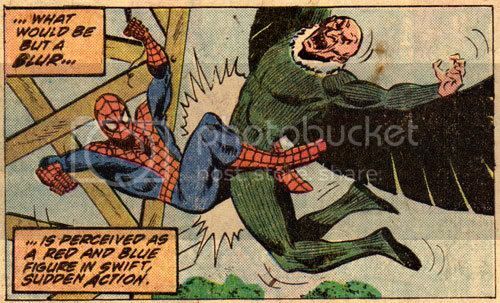 It ends with the Hitman ready to do away with spidey at the bottom of an elevator shaft right? ← NY Times: "Glossy Idealism on the Front Lines"